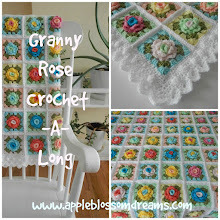 Apple Blossom Dreams: Vintage Ripple Ta Da! Extra rows of white were added to each end to create a lace-like look. "100 Flowers to Knit and Crochet"
Once again have a colorful day! oh, que c'est joli ! Félicitations !! ¡Que la manta es bonita! Los colores, las flores, los puntos - ¡perfección! P.P.S. It really is gorgeous. And I love the picture of the Norwegian houses. Are they fishermen's homes? They look so tidy and somehow nautical. Looking forward to the first day of spring! Lolly...Klingon? - I hope so! Pig-Latin would be nice too. 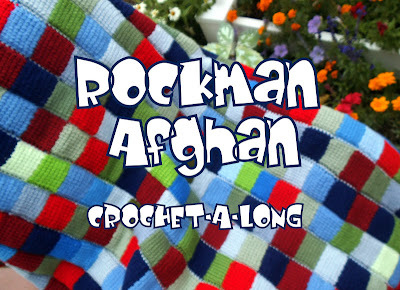 That afghan is to die for! The colors are gorgeous and the white background and trim...perfect! Wow, that's gorgeous. Love the look of those homes on the hillside. Great work!! Absolutly beautiful!!! And I just love the flowers on the border. Very, very nice work. ohhh que maravillosos colores!! me encanta es preciosa! Is my Astri talented or what? She has our home feeling soooooo cozy! Thank you everyone for the nice comments. Mrs. Wild I LOVE you blanket. The colors are so rich a gorgeous!!! Love the colors or Norway! This is so joyful and nice to look at. The Vintage Ripple will be my new project! 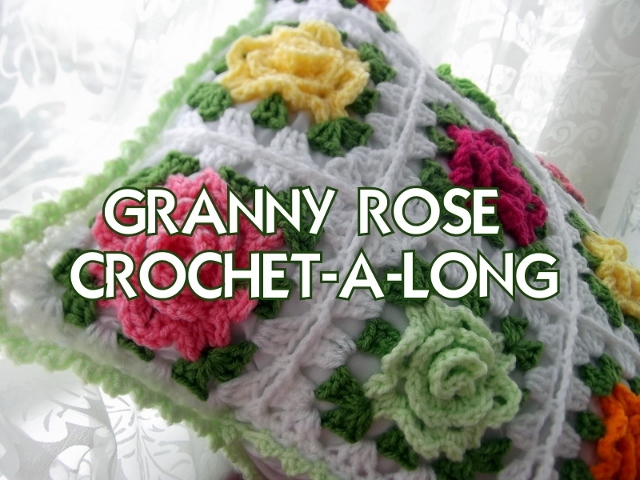 :o) I'm also looking at those beautiful crochet flowers you made- really inspiring! Thank you all for your comments. I read each and every one of them. So sweet! Thank you again I love your afghan. Do you give out the pattern for this beautiful blanket? Thank you for your interest. I'm sorry I can't give out the pattern because it is not mine, but I have referenced where you can obtain it within the post. may i ask , how do you weave in ends? so many!!! !